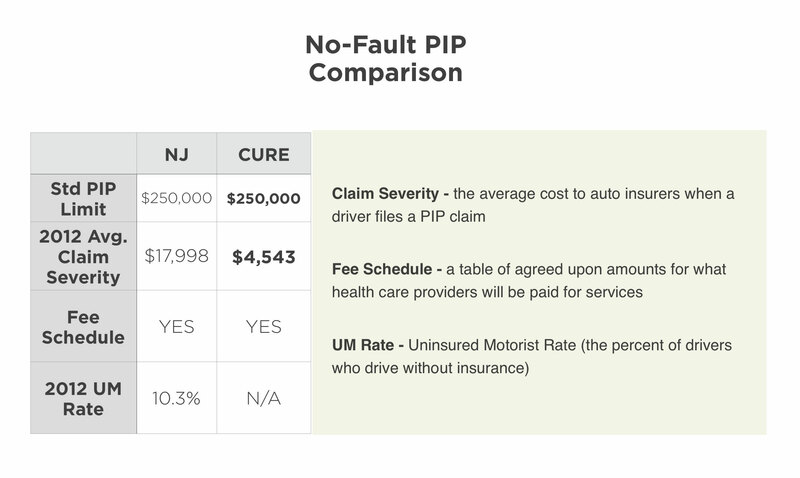 From 1972 until 1990, New Jersey’s no-fault Personal Injury Protection (PIP) cap was unlimited, like Michigan’s today, and the cost of claims were crippling. However, in 1990 New Jersey finally changed the unlimited no-fault laws and adopted a $250,000 PIP cap and CURE (formerly NJ CURE) was founded. I am writing to ask that you support D-Insurance. Making affordable auto insurance available in Detroit is important to me and important to the state of Michigan. More affordable auto insurance means more Detroit residents. More Detroit residents means more Detroit businesses. The attached chart illustrates the severity of the situation in Michigan. Please do your part to make Detroit great again.